We are offering the top class quality range of Circular Connectors to our clients. Having experience of more than a decade, we are a Prominent Organization that Manufacture Connectors & Plugs. 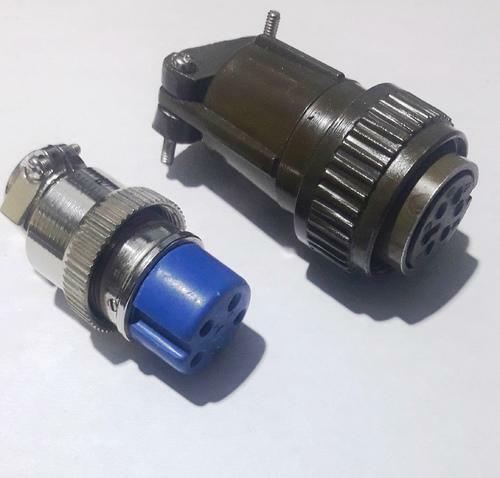 Our range comprises MS Connectors, Rack & Panel Type Miniature Power Connectors, Female Connector, Male Connector, Round Shell Connector Plugs, CO2 Nozzle, Male Cover, Female Cover, Receptacles, Power Receptacles, Carbon Dioxide Gas Diffuser, Electrical Plugs and Power Plugs. These connectors have gained repute for their durability & ruggedness, high reliability, capacity to withstand extreme environmental conditions and high power carrying capacity.